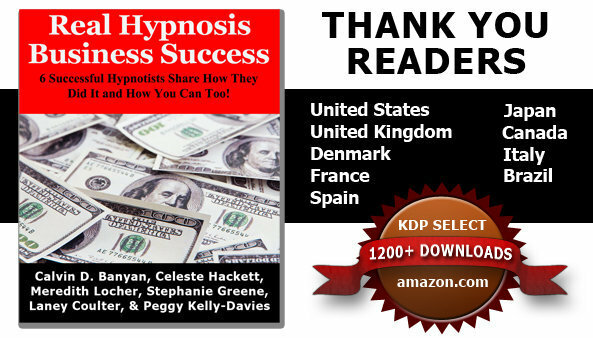 I have good news, despite a few technical difficulties, the book, Real Hypnosis Business Success was downloaded from Amazon.com 1228 times by readers from at least 8 different countries in just about 3 or 4 days! Thank you all for taking the time to download the book! I know that the information in it will help you make your hypnosis practice more successful. I believe that this book will help fill that void that exists as you go from “classroom to clients.” I know of no other book of its kind. If you find that the book helped you, all the authors would greatly appreciate a review on amazon.com. Even just a few words would mean a lot.